your love and support is treasured to no end. 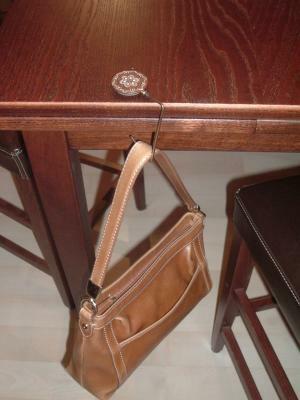 a place for your purse you’ll no longer yearn. leaving your handbag dangling with grace. I wrote this poem to accompany the purse hangers that I used as shower gifts for my friend. Everyone loved the idea and my poem! If you haven't seen a "purse buddy" you can find them on my website. Very cute idea, wish I was hosting a bridal shower!